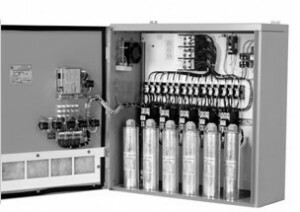 Automatic Power Factor Correction | Powerco™ Canada Inc.
Eaton Electrical’s automatic power factor correction equipment ranges in application from 240 V to 25kV and is offered in a wide variety of kVar capacities. As one of the world’s largest manufacturers of electrical distribution and power quality equipment, Eaton’s power factor solutions are second to none in quality and operability. Automatic banks are available in low and medium voltage configurations and are suitable for indoor or outdoor sites. Harmonic hardened systems are available, as are tuned systems to account for high harmonic distortion locations.